Gone to See Florida 2014. Amelia Island. 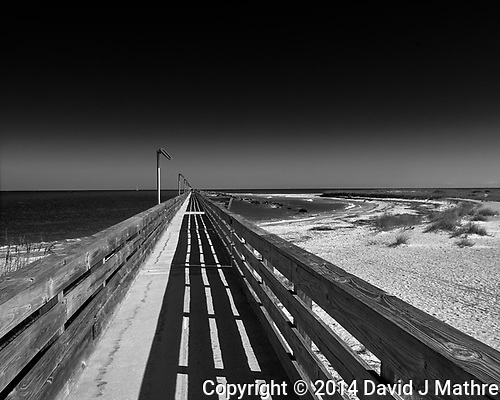 Fishing Pier at Amelia Island State Park in Florida. Image taken with a Leica T camera and 18-55 mm lens (ISO 100, 18 mm, f/16, 1/200 sec). Raw image processed with Capture One Pro 8, Focus Magic, and Photoshop CC 2014. Gone to See Hawaii. Big Island Photography Workshop with Thom Hogan. 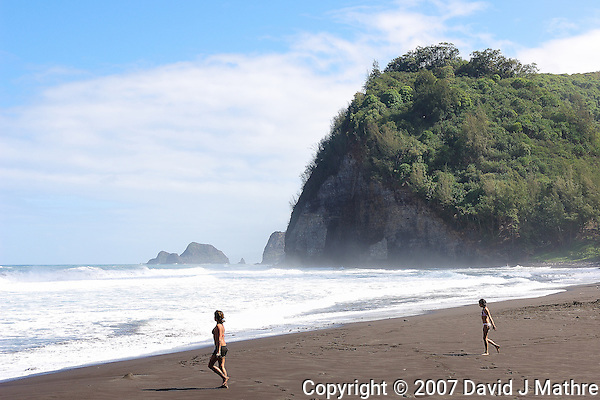 Day 3: Beach at Waipi’o Valley. Running to the Ocean Waipi’o Valley Beach on the Big Island. Image taken with a Nikon D2xs camera and 17-35 mm f/2.8 lens (ISO 100, 35 mm, f/8, 1/125 sec). Gone to See Hawaii. Big Island Photography Workshop with Thom Hogan. Day 2: Puʻuhonua o Hōnaunau National Historic Park. 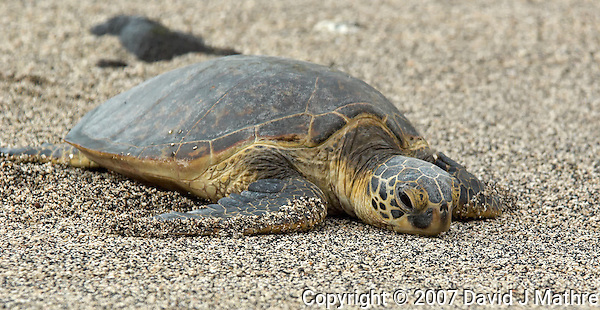 Hawaiian Green Turtle resting on the beach at Keoneele Cove, Puʻuhonua o Hōnaunau National Historic Park. Image taken with a Nikon D2xs camera and 80-400 mm VR lens (ISO 100, 220 mm, f/5.3, 1/80 sec). 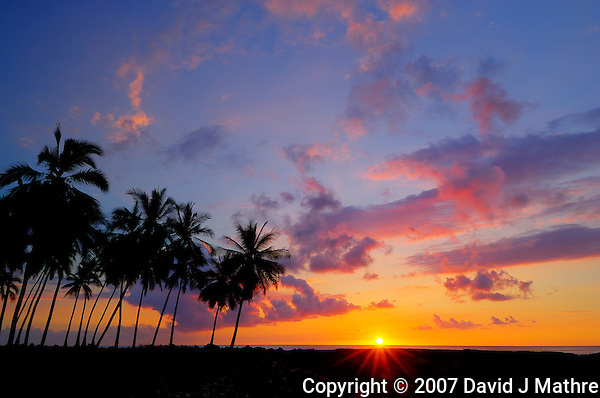 Sunset at Pu’uhonua o Honaunau National Historic Park. Composite of images taken with a Nikon D2xs camera and 12-24 mm f/4 lens (ISO 100, 16 mm, f/22, 1/2.5 sec). Gone to See Florida 2014 Road Trip Day 6. Canaveral National Seashore. 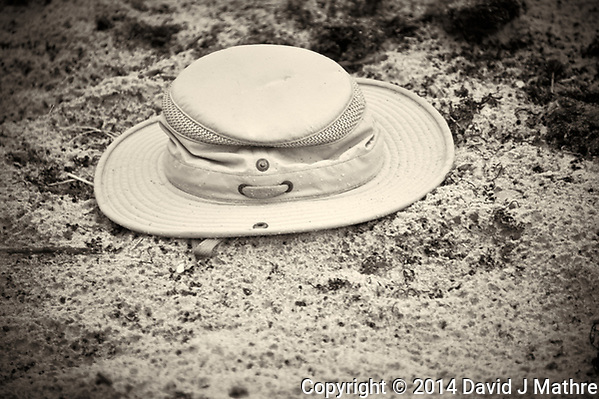 Lost Hat in the Sand at Playalinda Beach. Image taken with a Nikon D700 camera and 28-300 mm VR lens (ISO 3200, 300 mm, f/5.6, 1/60 sec).